Taken on October 30th, 2017 at 5:24 am EDT . A photograph doesn’t do this art installation justice. 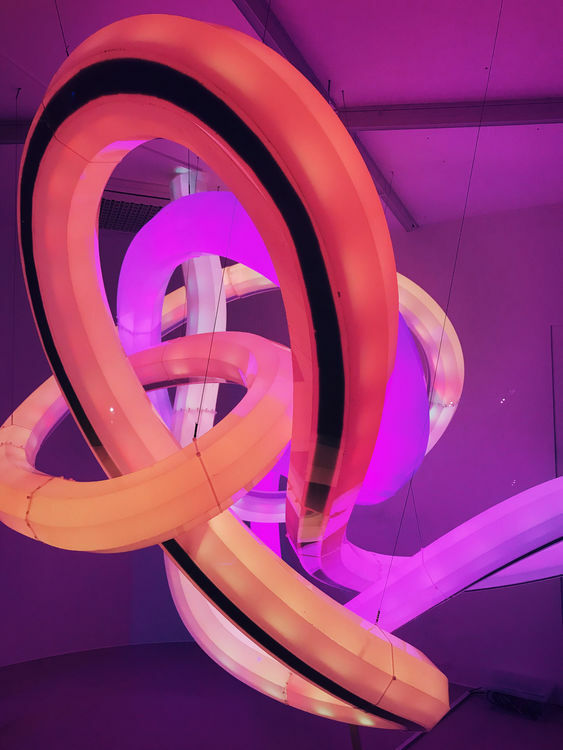 The entire thing was contained within a glass structure and programmed to continuously change colors and brightness. The ever-morphing visual experience was mesmerizing. Paul and I came across this particular piece along the Skygarden while wandering around Seoul one evening. “Ultra-Modern Public Artwork” is also available as Markdown and JSON.